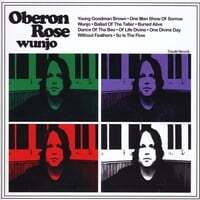 Oberon Rose-Wunjo. With Wunjo, Connecticut's Tom Oberon has crated a stunning debut of melodic psych-pop that stakes out the early pole position for the best of 2012. Drawing from influences both classic (The Kinks) and modern (Elliott Smith, Wilco), Oberon cranks out one quality tune after another here. "Young Goodman Brown", the opener, sounds as if it could have been a featured song in a Wes Anderson movie, while the jangly "One Man Show of Sorrow" recalls Bill Majoros' brilliant Foreign Films album. The title track and ballad "Without Feathers" bear a heavy E.Smith presence, and the Beatlesque "Ballad of the Taller" could pass for one of Robert Harrison's slower tunes with Cotton Mather. Elsewhere, "Buried Alive" makes nice use of a slide guitar hook to go with a catchy melody, "Dance of the Bee" adds a touch of glam, and "So is the Flow" is grade-A psych pop. This is quite possibly the best album of its kind since the aforementioned Foreign Films and it's kind of disc that should find fans outside of the power pop subgenre. 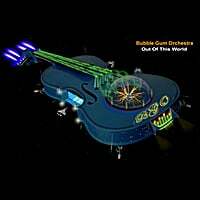 Bubblegum Orchestra-Out of This World. This is where David Bash's year-end lists come in handy even for someone as immersed in the power pop genre as I am - there are always a few I still miss as this 2011 ELO homage would have warranted a place in my year-end list as well had I heard it then. And when I say "ELO homage", I'm not kidding around here. Whereas Bleu's LEO project was more a subtle, Rutles-like ELO tribute, BGO here has basically taken its mission to reimagine the double-album classic Out of the Blue, right down to the double-album length, the title, the cover art and references in the songs. Sonically though, it might be more the ELO of 1981's Time as the opener "Agnes is Back" makes clear with the lyric "here is the news". I could spend all day cataloging the ELO references ("Night in Shangri-La", the interstitial "Where Are You Now, which sounds like - and quotes- OOTB's "Believe Me Now"), but I'll just leave it by saying that although it's no Alpacas Orgling, it's quite an enjoyable ride and a must for ELO fanatics. Picked up the Oberon Rose mp3 today- enjoyed it very much! Thank you for the nice write up. We appreciate your support!